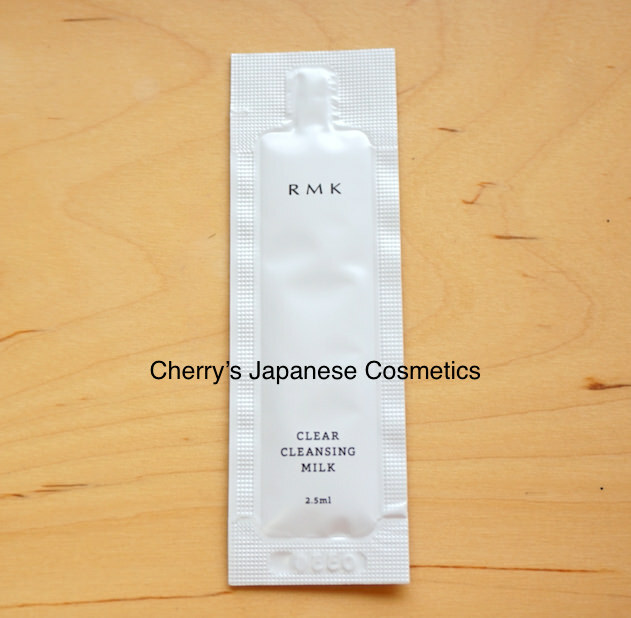 I (Cherry) got a sample of RMK Clear Cleansing Milk, a new makeup remover. Seeing the ingredients, this product is truly using cow milks, talking with Lukin of America, she do not use those products made from fresh milks. I guess this is not for her. I do not know the reason, but I respect her decision. Let me share with my review of this product. Seems I have not used previous formula. Anyway, I need to tell you about my makeup before talking about this makeup remover. Because this product is for light makeup, I did not use waterproof eyeliner of Coffret D’or as letters. Guess this SUQQU is water resistance or so. 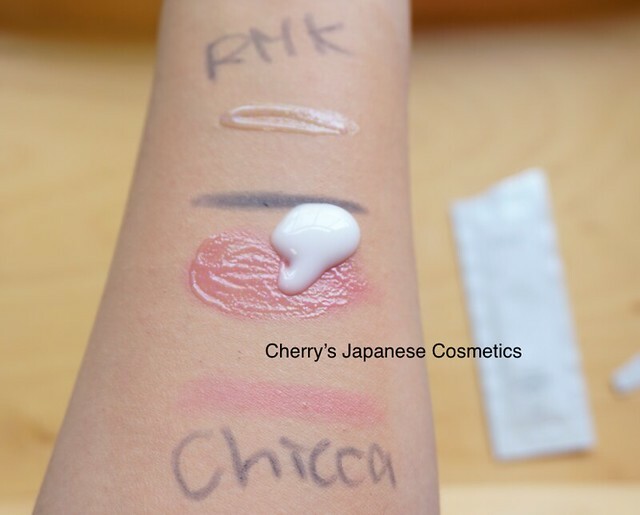 I was a little bit confused with applying this RMK Milk Remover on my arm… It does not work, look, even for the lips. 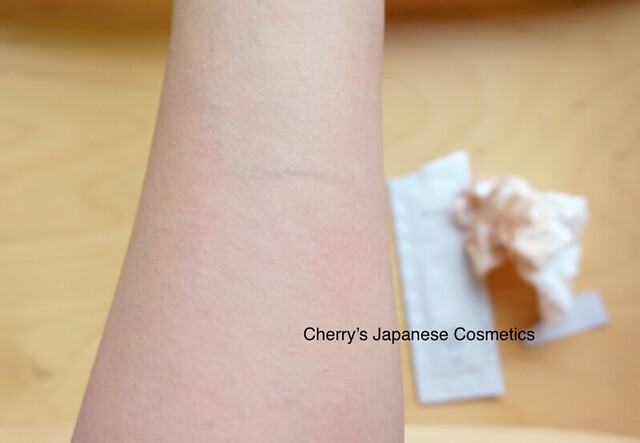 But when I wiped my arm with tissue, most of my makeup were removed. Not perfect. You will see something letters or line, by SUQQU eyeliner. 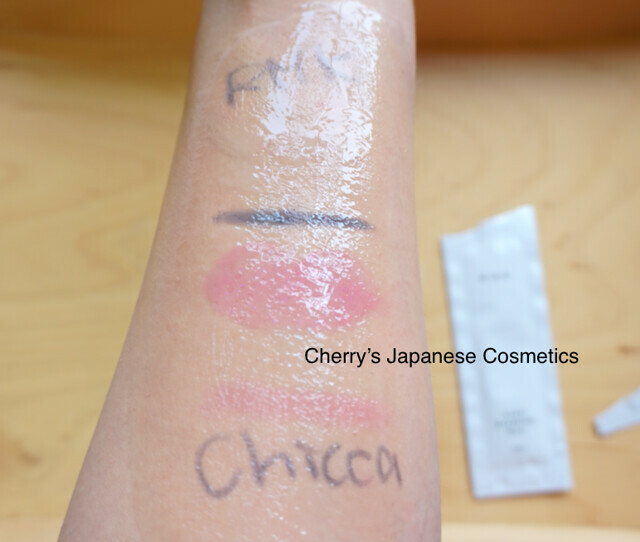 It is so true that as RMK says this remover is for quite light makeup. It can be powders and lips only. Not for my daily makeup. When I do light makeup, it is super light, powders with lip balm. I do not need to use makeup removers. Using with this on my face, I found something wired scent, like cup cake 😀 According to RMK, this scent is Orange Vanilla, it makes sense! My combination – dry skin afterward of this RMK Clear Cleansing Milk, I felt it was well moisturized. Please check the latest price, and order from here: RMK Cleanr Cleansing Milk, or in JPY Branch! Awake Vital Express, Vitamin C powder-emulsion is unique!! !